If you like the natural, rustic look in your home and want to make furniture and home accessories to suit, then look no further: this comprehensive, step-by-step guide tells you all you need to know to make a range of stunning pieces for inside and out using wood sourced from pallets. 20 step-by-step projects for both indoor and outdoor projects suitable for DIY novices, using simple tools and techniques environmentally friendly, inexpensive and trendy! projects include corner sofa, boot rack, coffee table, headboard, mirror, dog bed and more! 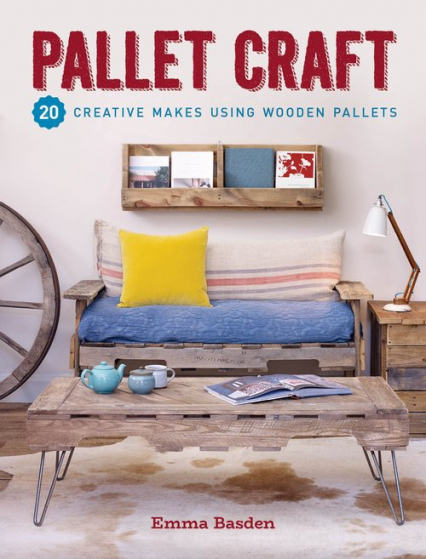 Pallet Craft contains concise step-by-step instructions and clear photographs to guide you from start to finish. There's advice on sourcing pallet wood, instructions on how to dismantle pallets safely and easily, plus a tools and other materials section to make sure you have everything you need.